I'm a big advocate of growing your own and foraging food as a great way to ensure that the family is getting the very best, freshest fruit and vegetables with the highest nutrient content. 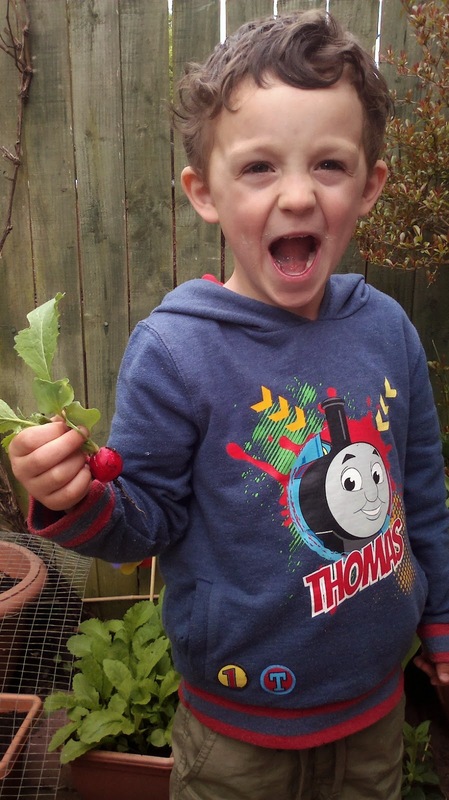 As well as the excitement and educational value of growing your own, that radish the kids pull straight from the pot is far higher in nutrients and enzymes than one that has spent a few days or weeks getting from farm to fork. For us, with our little patio, growing our own is only ever going to be about adding interest and variety since we are never going to be anything like self sufficient from our containers. Because I can't know how nutrient rich the vegetables from the store are, and because we don't eat things like processed cereals which have been 'fortified' with added nutrients, I like to top the kids up with vitamins a few times a week. I think it is helpful to supplement during the winter especially, when fresh food is less fresh and we're not getting vitamin D from the sun. For this reason I was really pleased when I spotted that Holland and Barrett was stocking a new range of kids vitamins. 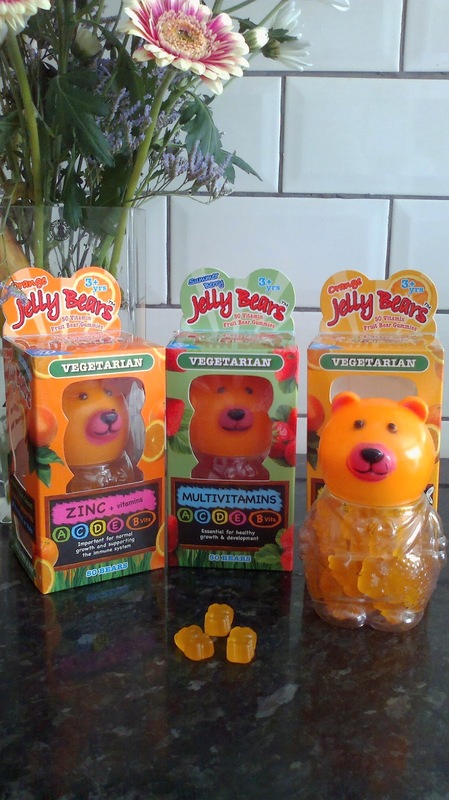 Jelly Bears are from a British company called Mill House and are made with Pectin, which comes from plant sources, instead of Gelatin from animal sources. I can see this being popular with my vegetarian friends, but also with my friends who avoid pork gelatin due to religious observances. Mill House Jelly Bears are made with 100% natural ingredients, so no funny stuff that's going to send Ollie off the rails, and are gluten free, which is handy for me when I sneak one or two. The vitamin sweets are designed for children over 3 and contain essential nutrients to support healthy growth and development. They come in three varieties, Summer Berry flavour multivitamins, Orange flavour Zinc and Mulitivitamins, and Orange flavour Omega 3 plus Vitamins A, C, D, E and B vits. We've been trialing them for a couple of weeks and so far our favourites are the Orange flavour Omega 3 sweets because it's a great way of getting Omega 3 without using rancid smelling fish oil - Jelly Bears use flax seed oil instead of fish. The Jelly Bears come in lovely reusable packaging - a cute bear pot which is going to be popular for storing treasures such as sea shells when it's empty. There are 50 bears in a pot though, so with a recommended provision of one to two bears a day the kids aren't going to be playing with that empty pot for some time yet. As with any vitamin sweets, we'll keep these in an inaccessible place to prevent the little ones helping themselves. 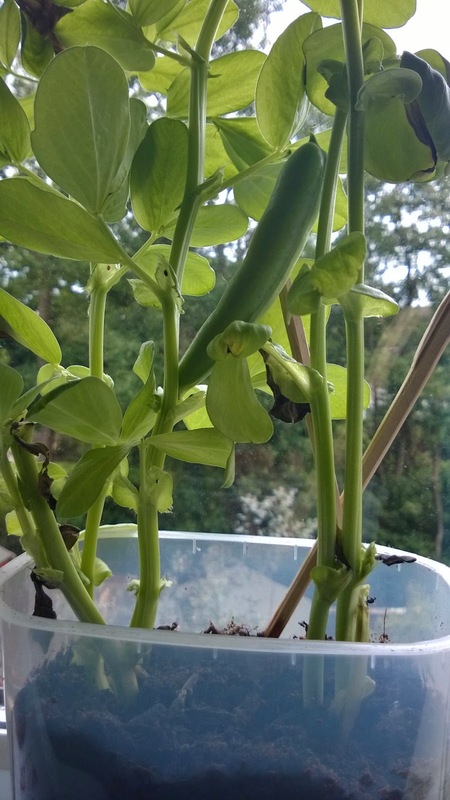 No vitamins supplements should ever replace a healthy and varied diet, and getting kids to grow their own is my favourite way to encourage them to eat their veg. For my parent friends and readers who manage to eat super healthily all the time and live off their allotments and gardens you may not feel the need to supplement at all. But for us, with out mainly supermarket vegetable diet, we really appreciate having this new fun option to top the kids up. Note: we received a pack of each of the varieties of Jelly Bears to trial, plus face packs from a sister company, but the photos and opinions are all my own (and that of Ollie). The only tricky bit has been sneaking one to Ollie without 2 year old Toby seeing and demanding 'ME SWEETY!!!' (and getting a chance to sit in the bath by myself to use the face packs for some much needed me time).